1st mini album “a.b.c の交点” リリース・ツアー 公演追加! KEEP AND WALK TOKYO 2013 出演! VAGINIGHT vol.33 "thank you blueport & Beat Break Screamer！"
TEQUILA PARTY EFFECTpre ”劣等感をあたためた RELEASE TOUR"
Perfect GREEN! !7 Garden Of Chicken Cokes 1st mini Album [EVERYBODY IS IN THE HOUSE] Release party!! 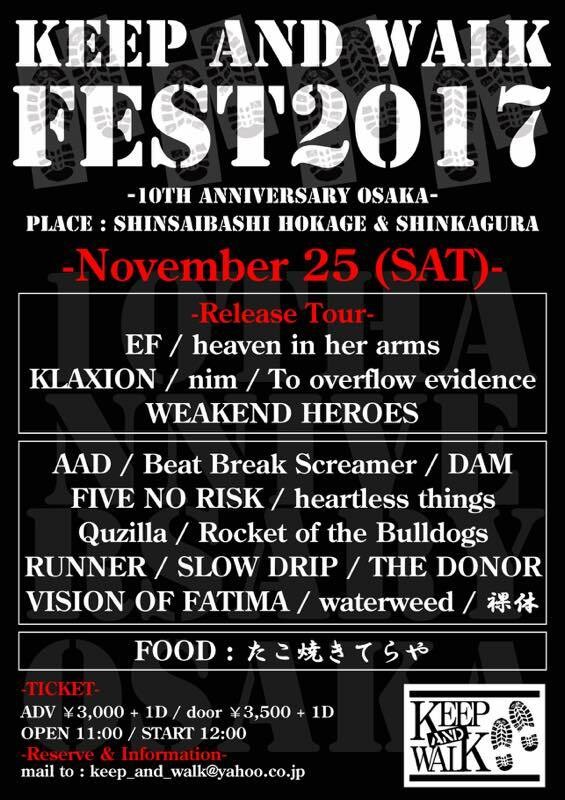 NOHEROES x SHINSAIBASHI VARON presents. 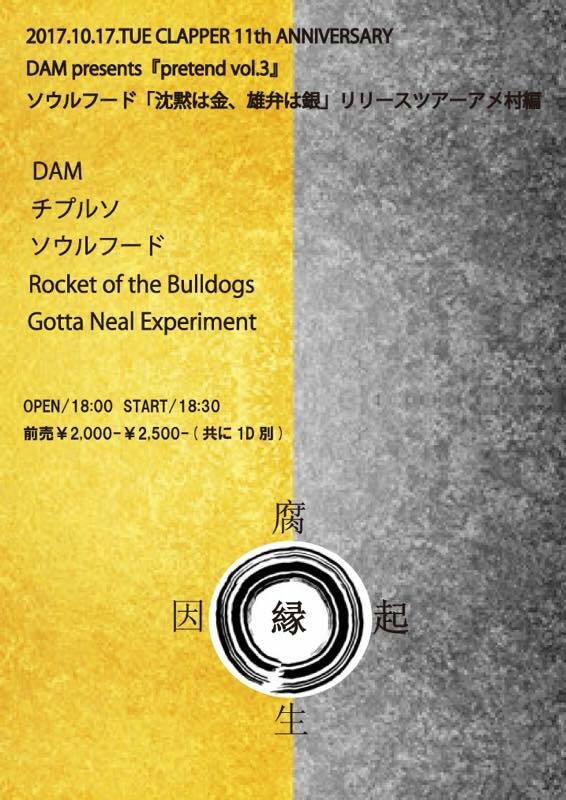 DAM / Tygerbeetle / FOREVER STAY YOUTH / GiGMACK / HERO FOR A DAY / LAST YOUTH CASUALLY / MY HODLER / ROCK STOCK MAGAZINE / UN LUCK WIN / TAKUYA(SPREAD) ( DJ )TAKA（平日ロック）/ and more . . .
北條 Presents HouJoe Never Die!! Juntaro from F.P pre. 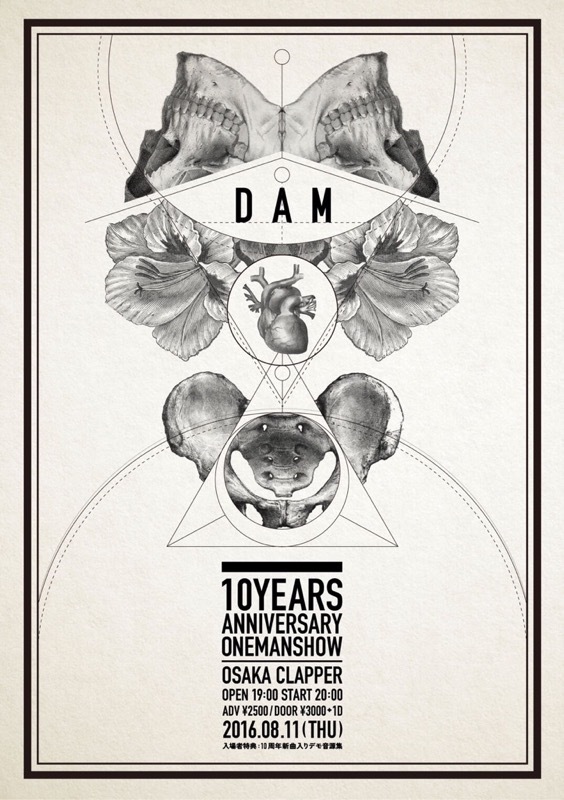 "Weathered vol.0"
paranoid void "ULTRA POP TOUR"
DAM (大阪)/カイン (徳島) and more !!! 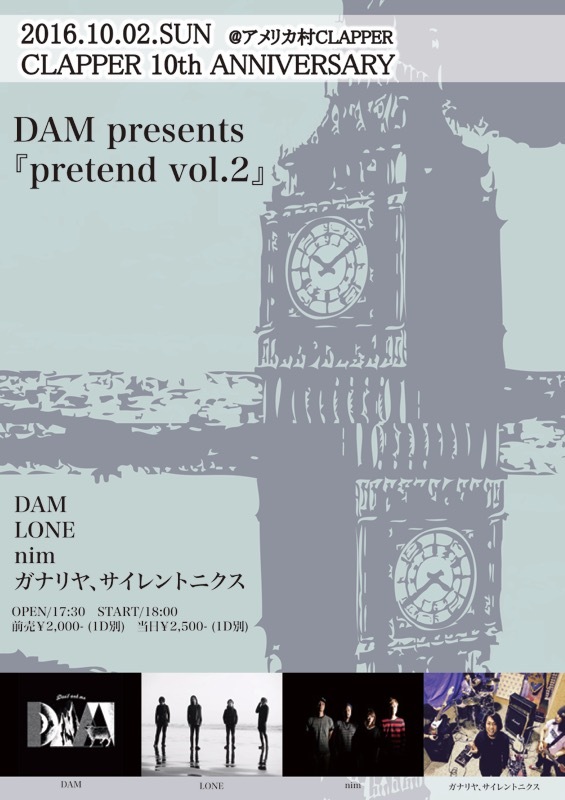 Kyoto Protocol(マレーシア) / DAM(大阪) / tatara / ノイジーマイノリティー …and more! !